Having come to the United States as a young man, Simon Ghanimian brought centuries of Old-World tradition with him. Marrying that history of excellence and quality to the experimentation and exuberance of America, Simon G is the best of both worlds. With a brand that speaks directly to the happiest moments in men and women’s lives, Simon G jewelry is perfectly positioned to become the kind of treasure that be with you forever. 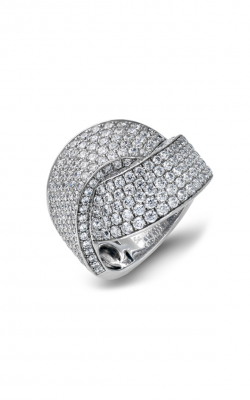 Here at Diamonds on Wabash, we’re proud to be an authorized dealer for this amazing designer, and their pieces form a cornerstone of our showcase. 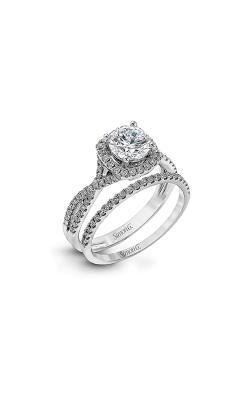 Known first and foremost for their bridal jewelry, it’s impossible to talk about Simon G without beginning with their engagement rings and wedding bands. The Passion collection is made iconic by the unique bands that Simon G crafts to hold the absolute treasure trove of perfect diamonds that they select for each piece. The lover of unique shapes in their jewelry will find, for example, rings and bands that feature channel-set diamonds next to twisting ribbons of milgrain-beaded gold. The Classic Romance collection brings the timeless beauty of the Art Nouveau and Art Deco periods to modern jewelry: Bold, architectural lines happily coexist with brilliant sapphire; organic curves take cues from modern two-tone gold rings. 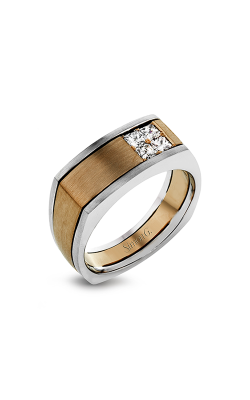 Also, don’t forget that Simon G makes upscale and masculine men’s wedding bands: Characterized by textured 14k gold that spans the color spectrum from rose gold to gray gold, you can easily find bands made with a chain link pattern, brushed, woodgrain, fingerprint whorls, and beyond! And if you continue to love Simon G well beyond the altar, they offer collections of fashion rings, necklaces, bracelets, and earrings. 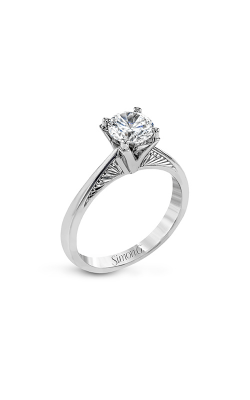 While Simon G tends towards white diamonds and sapphires for their bridal jewelry, their fashion jewelry is an absolute explosion of color and style. What sorts of jewels can you find? Emeralds, rubies, spinel, tsavorite, opal, tourmaline and kunzite, even different shades of diamond! 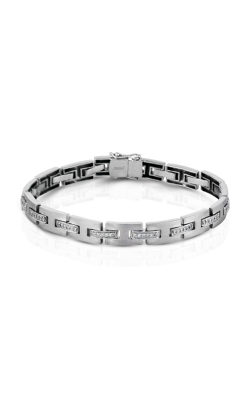 Why Shop for Simon G at Diamonds on Wabash? One of the most respected jewelers that serves the city which serves the nation, Diamonds on Wabash has spent years discovering the finest atelier brands for the people of Chicago. Simon G is no exception from that—and the treasures that this brand designs continue to wow our customers. We also showcase a number of other well-loved brands in the realms of engagement rings, wedding bands, and fashion jewelry. If you’re interested in finding out more about our brands, our selections of GIA-quality diamonds, or the white-glove services we assist our customers with, contact us today or visit us at our showroom on Wabash!